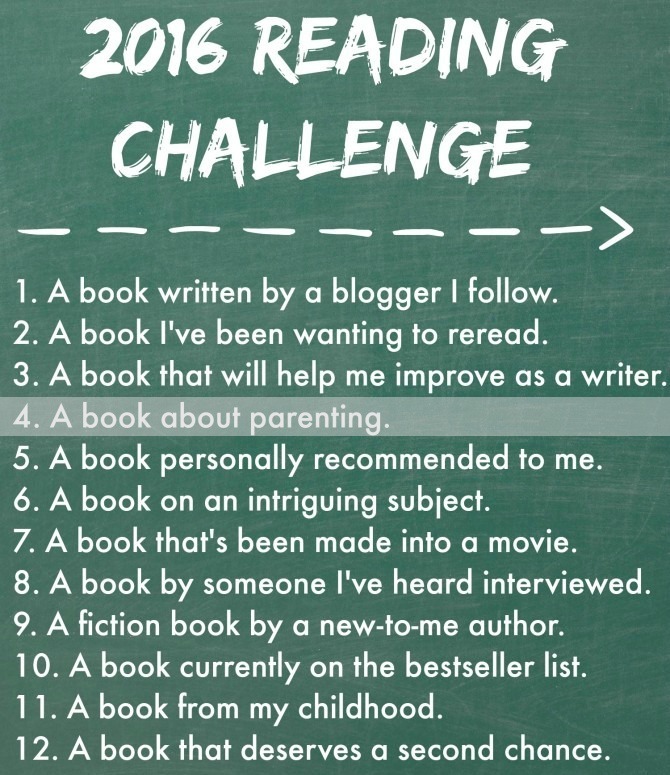 2016 Reading Challenge: A book about parenting. Reading can be a very dangerous thing. The wisdom found within the pages of a book can transform your life—in amazing ways, and sometimes in ways that are not so good. I’ve found that I have to be particularly careful in selecting books about parenting. I am FAR from an authority on parenting myself and I crave the wisdom of seasoned parents and, of course, the “experts.” But there is a lot of horrible advice out there, and I prefer not to subject my own inexperienced self to tactics that might be ineffective or even harmful. Bad parenting advice aside, another unwanted side effect of parenting books is their potential for making me feel like a terrible parent. I doubt these authors intend for their readers to come away from their books feeling worse about their own parenting practices, but the perfectionist in me can’t help but interpret their suggestions as a criticism of my own parenting. Books about milestones that my child should be achieving at any given age are especially problematic, as they only lead to unhealthy comparison and unnecessary worry. When I was pregnant, I read everything I could get my hands on about pregnancy, labor, and parenting a newborn. But in the last several months, I’ve mostly set aside the parenting books, choosing instead to listen to my own intuition and let Charlie be my guide. While somewhat frightening, this cleanse (of sorts) has also been empowering and enlightening. Not all parenting books are created equal, though, and I don’t intend to renounce expert advice altogether. I simply need to be very cautious about the books I choose to read. This month I dipped my toes back into the hazardous world of parenting books with a book that is more in line with the intuitive, child-guided approach we’ve been taking with Charlie. I’ve been listening to Janet Lansbury’s podcast, Unruffled, and knew that Lansbury’s tactics would be a good fit for us. In the 20+ years since Lansbury first learned of the RIE approach, she herself has become a RIE expert. 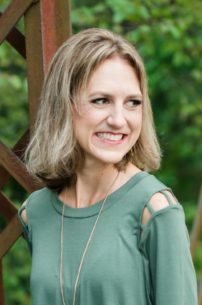 She shares her wisdom on her blog and podcast, and in Elevating Childcare: A Guide to Respectful Parenting, which is a collection of the most useful articles from her site. Within these articles, Lansbury explains how the RIE approach can be applied to the care of infants and toddlers. With gentleness and compassion, she shares why these strategies work and offers specific ways that they can be implemented. 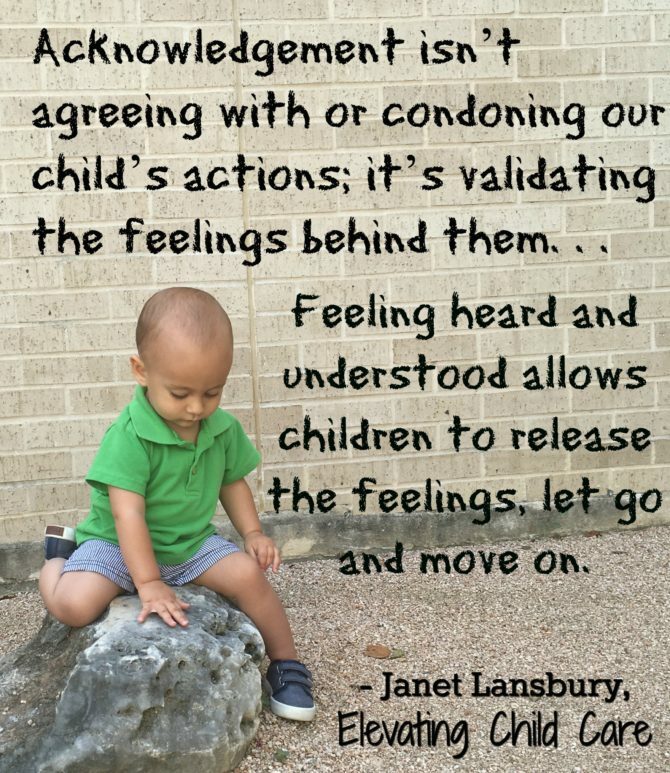 According to Lansbury, infants and toddlers are “capable, intelligent, responsive people ready to participate in life, initiate activity, [and] receive and return our efforts to communicate with them.” When we take the time to connect with our children, acknowledge their feelings, and allow them to develop skills naturally—while also respectfully enforcing established boundaries—we foster independence and self-confidence, and bypass many of the power struggles and behavioral challenges so prevalent in families with young children. As with most parenting books, there are portions of Elevating Child Care that I am choosing to disregard. I won’t be abandoning our high chair, as Lansbury suggests, and I don’t see anything wrong with asking Charlie questions like “where’s your nose?” or “what sound does a dog make?” which Lansbury considers disrespectful to children. However, the principles behind the RIE philosophy are sound, and we are making an effort to implement many of them with Charlie. I’m communicating more clearly, observing more intentionally, and making a concerted effort to treat Charlie as a whole being worthy of respect. This isn’t always easy; for instance, I often find myself defaulting to using distraction when Charlie cries (instead of allowing him to express his emotions), and I still am quick to do things for Charlie instead of allowing him to figure them out on his own. I know the RIE strategies will gradually become habit, though, and I am excited to see how these methods shape our family dynamic. I wish that I had learned about the RIE method sooner. Fortunately, many of its principles are in line with my natural approach to parenting, which means that I’ve been practicing them all along. As for the rest, I am glad to be starting NOW. 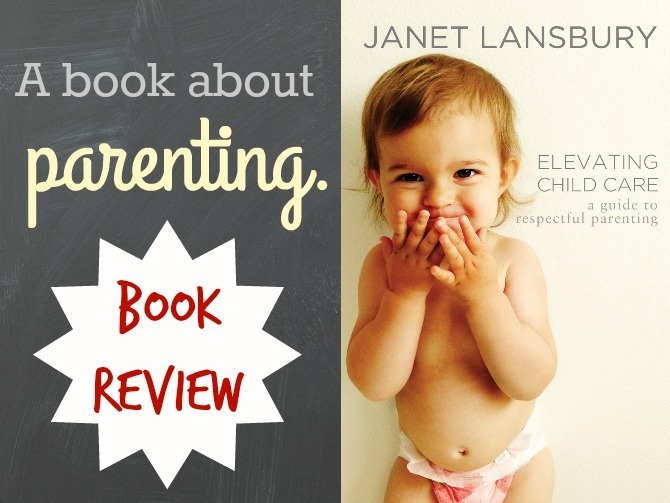 As Janet Lansbury says, it’s never too late for respectful parenting! It’s not an exaggeration to say that parenting books make up at least a third of my TBR list. 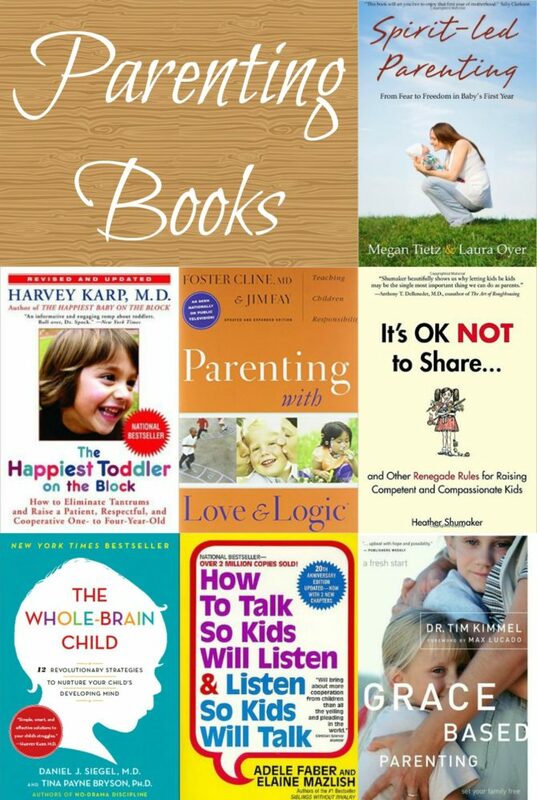 Here are just a few of the (hopefully safe) parenting books I hope to read. Parenting With Love and Logic, by Foster Cline and Jim Fay: This book came highly recommended by a child psychologist who came to speak to our MOPS group last year. How to Talk So Kids Will Listen & Listen So Kids Will Talk, by Adele Faber and Elaine Mazlish: I’ve heard many parents cite this as the ONE book that had the biggest affect on their own parenting. The Happiest Toddler on the Block: How to Eliminate Tantrums and Raise a Patient, Respectful, and Cooperative One- to Four-Year-Old, by Harvey Karp: Dr. Karp’s The Happiest Baby on the Block was the most useful book we read on parenting a newborn. I’m interested to hear Karp’s suggestions for parenting a toddler. Grace-Based Parenting, by Tim Kimmel: This book was part of my 2015 Reading Challenge, but I never got around to reading it. This anxiety-banishing book seems like a great fit for me. It’s OK Not to Share and Other Renegade Rules for Raising Competent and Compassionate Kidsc by Heather Shumaker: I don’t love the title of this book, but I’ve heard the author interviewed and I appreciate the premise behind her approach. The Whole-Brain Child: 12 Revolutionary Strategies to Nurture Your Child’s Developing Mind, by Daniel J. Siegel and Tina Payne Bryson: We all want to raise happy, resilient children and this book promises to help parents do just that. Spirit-Led Parenting: From Fear to Freedom in Baby’s First Year, by Megan Tietz and Laura Oyera: I added this book to my TBR list long before I started listening to Megan Tietz’s podcast. Since becoming a fan of Sorta Awesome, I feel like Megan is a personal friend and I’d love to read her thoughts on parenting. What’s your take on parenting books? Do you read them all, or do you let your intuition be your guide? Have you read any of the books on my list? If so, please leave a comment letting me know what you thought!